Yourtown (formerly Boystown) operates 16 Art Unions annually with 10 Prize Home Draws and 6 Prestige Car Draws. Entry is very affordable at just $15 a ticket and each Art Union provides an opportunity to win a Luxury Home in either Sydney, Melbourne or on Queensland's Gold or Sunshine Coasts. The Major Prize value is always in excess of $1 million and for just a further $10 a ticket, supporters have an additional chance to win luxury cars such as a BMW, Audi or Mercedes-Benz. Purchase tickets today in the next Yourtown Art Union Draw. 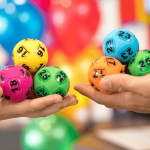 Endeavour Foundation has been raising funds through it's Prize Home Lotteries for over 40 years now and when you Buy a ticket in one of Endeavour's lotteries you are supporting more than 3,350 Australians with a disability, from 230 locations across QLD & NSW. 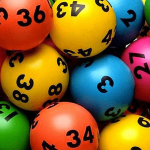 Endeavour operates a number of Lotteries annually with other exciting Prizes also including fantastic Local and Overseas Holidays, Flight Vouchers, $1000 Fuel Cards, Computers and more. Tickets start from as low as just $10.00, so don't miss their next Prize Home draw Enter right here. 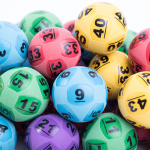 The Surf Life Saving Prize Home Lottery conducts 12 Lotteries a year including 6 x Prize Home Lotteries and 6 x Champions' Club lotteries to raise much needed funds for the SLS Assn. Lottery sales start from JUST $2 each and ticket holders have the chance to win a Brand New Luxury Home, Gold Bullion, Cars and other Prizes! Continue to support this wonderful Australian beach tradition and Buy your tickets online !